Introduce a newcomer to Saga cruises and we'll give you 10% off your next cruise, plus your friend will benefit from 10% off too. 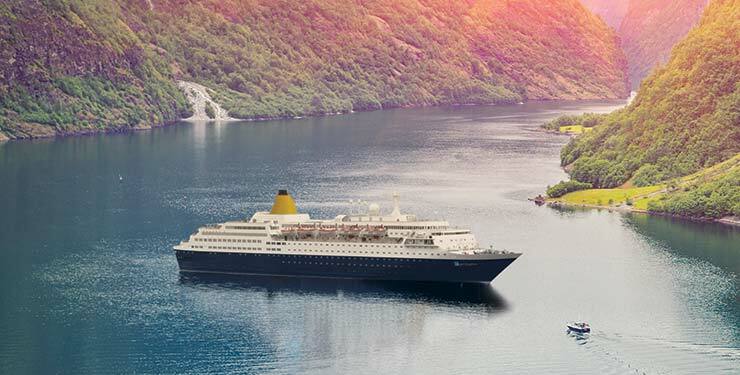 Possibilities members can take advantage of this fantastic offer by choosing any cruise sailing before 31 January 2020 aboard our brand new ship Spirit of Discovery, elegant Saga Sapphire or yacht-like Saga Pearl II. You could sail to the warm waters of the Mediterranean or the Canaries, explore the beautiful cities of the Baltic, or discover the magnificent fjords... you'll be spoilt for choice with our inspiring range of itineraries. Whichever cruise you choose, you can look forward to exceptional value for money, with so much included in the price, from our chauffeur car service, to all gratuities on board. Plus, you can combine your exclusive 10% offer, with any other offer that may be available on your chosen cruise. And the recommended friend does not have to sail on the same cruise as you, nor do you have to make a new booking for the offer to apply to your friend. To book or for further details, please call free on 0800 001 5420.